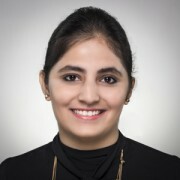 Prabhkirat joined the RSPO Secretariat in January 2015 as the Membership Executive ~ ACOP Relations. Her primary role is processing of new membership applications and assisting organizations who are interested in attaining a RSPO membership. Apart from this, she also responsible for the annual ACOP submissions and related inquiries. Prabhkirat has earned her Bachelor’s in Arts from University of Malaya in 2012. Prior to joining RSPO, she worked as a writer in an E-commerce company whereby she gained much experience in writing and communicating with various merchants about the deals that will be offered by their companies.